This new three-day tour gives you the BEST of Chicago at Christmastime! WOODFIELD MALL: Kick off your holiday shopping at Woodfield Mall. Enjoy lunch and shopping on your own in Schaumbrurg before we head to the city! "A CHRISTMAS CAROL" AT THE GOODMAN THEATRE: After checking into the hotel, we will head to the theater district for dinner and a show. SHOPPING & LUNCH AT MACY'S: This holiday tradition of Chicagoans since 1905 is sure to please -- see the magnificent tree in The Walnut Room while you dine. 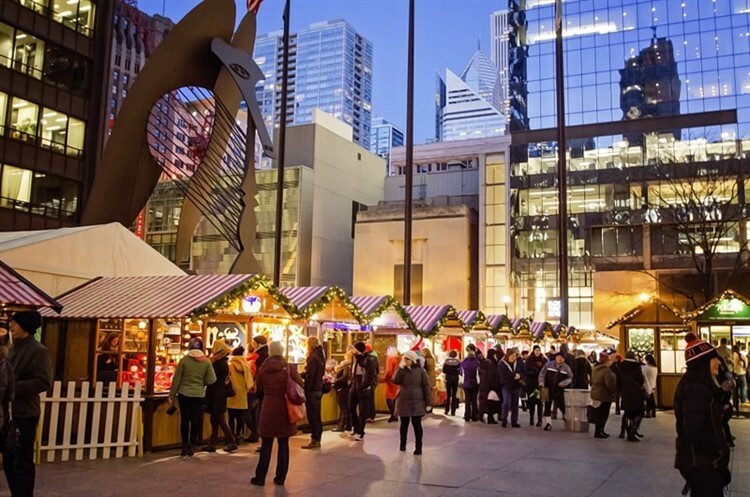 CHRISTKINDLMARKET: This traditional German holiday market is filled with unique gifts, diverse entertainment, and German food, located right in Daley Plaza. The rest of the day is yours! 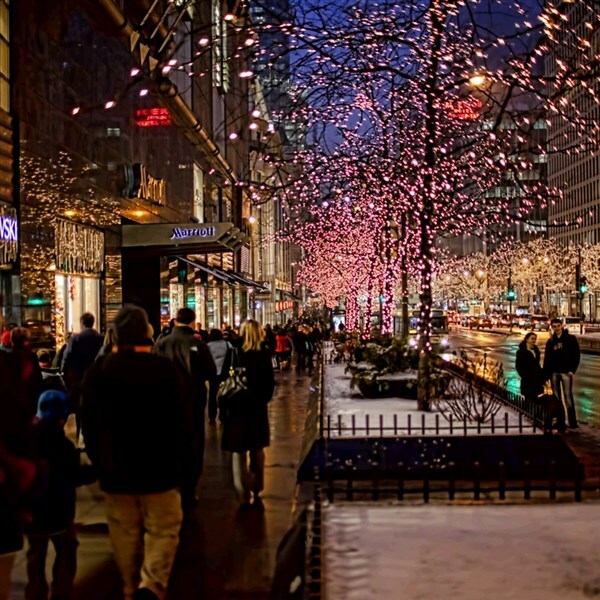 Head back to the hotel, enjoy some ice skating at Millennium Park, catch a Broadway in Chicago show, or shop till you drop along the Magnificent Mile! CHICAGO TROLLEY: Use the hop on/hop off pass throughout downtown and the Loop before loading the Van Galder sleigh with holiday memories as it journeys home. DEPOSIT: $50 at time of reservation; final payment due October 30, 2019. ACCOMMODATIONS: Hampton Majestic Chicago Theatre District, Chicago, IL (2 nights). TOUR INCLUSIONS: Professional tour director, motorcoach transportation, accommodations, luggage handling at hotels, admissions/attractions, and 3 meals, including 2 breakfasts and 1 lunch.